These are pages of tourist attractions or places to visit in Bali.We arrange them for you to get a picture on when and where you may wanti consider to visit..
You can choose to use our Tour Packages of you can decide your own itineraries. Please note that since the tourist attractions is located throughout Bali island, consider the time will take to go to each destination. 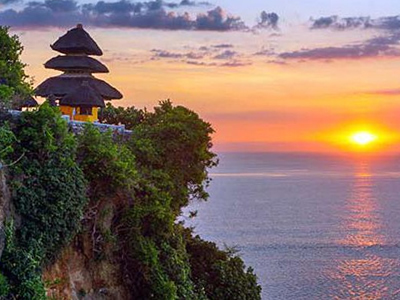 Â Our tour packages are arranged to have optimum time to visit list of places..
Uluwatu Temple is located 97 metres above sea level on a ledge of a cliff which how the name Uluwatu came for. 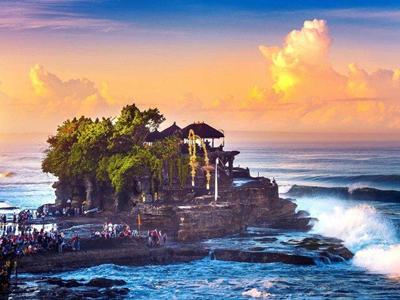 Tanah lot is a large complex of tourist attraction with many souvenirs merchants, food stalls, beach and of course, the Tanah Lot temple. The area is always crowded with visitors every day since opening hour until sunset. Ubud Monkey Forest, or the original name : Mandala Wisata Wena Wana is a nature preserve inhabitant by several groups of monkeys. 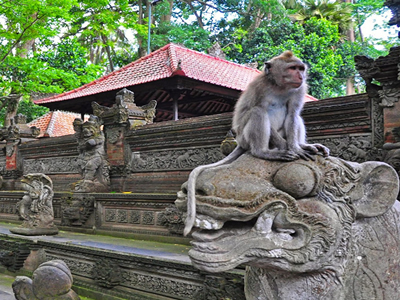 Ubud Monkey Forest is one of the famous tourist spot in Padangtegal village, Ubud. 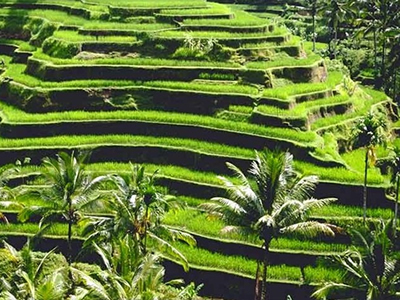 Ubud is located among rice fields, jungles and rivers. With outstanding views of nature, and many tourist attractions. 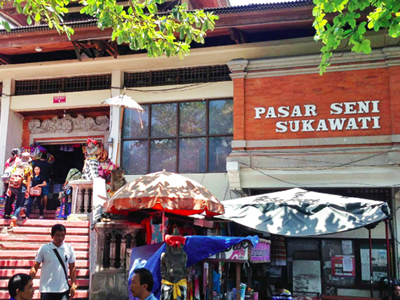 Sukawati market is the largest and the most complete art market in Bali. The market is located at Sukawati village, Gianyar district. All the merchandises here are very much affordable. Tirta Empul Temple Tampaksiring is located in Tampaksiring, Gianyar District. 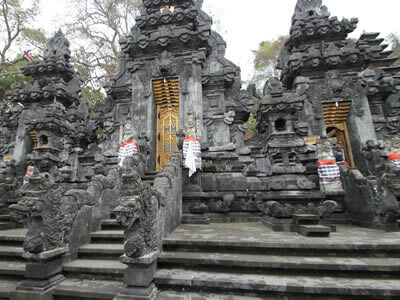 This temple is one of the ancient historical site to visit in Bali. On the west side of the temple is the Presidential Palace built during the first President Soekarno administration. Alas Kedaton is a 12 acres protected forest. The Alas Kedaton forest is inhabited with groups of monkeys. This tourist attraction is one of the stops for visitors traveling to or from Lake Beratan or Ulun Danu Beratan temple up at Bedugul area. 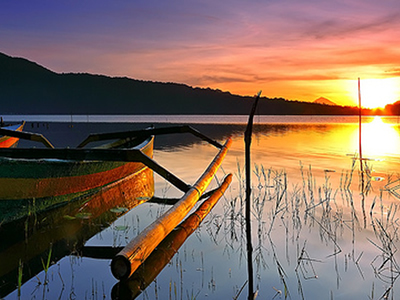 Lake Beratan is the second largest lake after Lake Batur with 3.8 kilmeters square wide. This lake is one of the best place to visit. With the mount Catur surroundings, this lake is also place for watersports such as parasailing and jetskis. 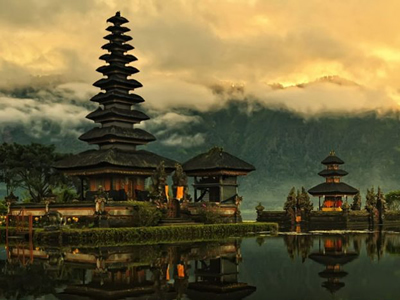 Ulun Danu Beratan Temple is a holy temple located at the tip of Lake Beratan in Bedugul tourist area, Candikuning village, Tabanan District. 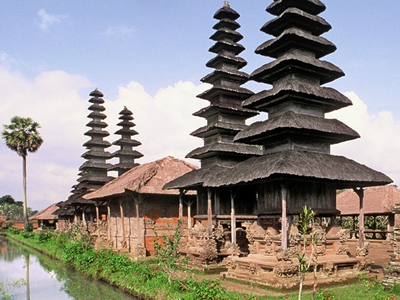 Going here will take from 90 minutes to 2 hours, about 59 kilometres north of Kuta. Taman Ayun Temple is the Paibon Temple or Mother Temple for the Mengwi kingdom used to worship the spirits of the king’s ancestors. Also built some Meru towers used by the people of Mengwi to pray to the Gods for their prosperity. Kintamani is a tourist attraction located in Penelokan village,Kintamani. 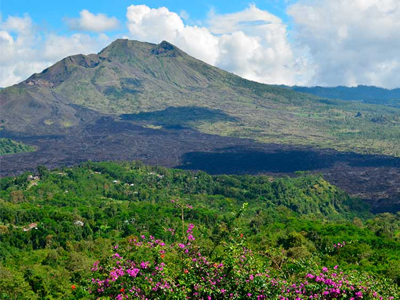 It is the best place to view Mount Batur and Lake Batur which is the largest lake in Bali. 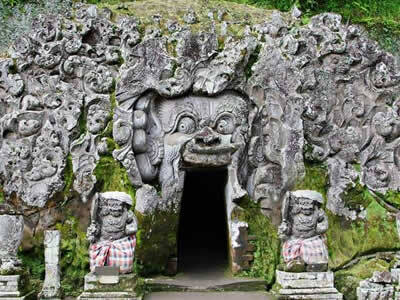 Goa Gajah Temple or Elephant Cave Temple, based on the story, is one of the ancient and oldest temple in the Hinduism and Buddhism soceity in Bali Island. Goa Gajah temple entrance is carved to what locals believe to look like an elephant. Based on the villagers story, Penglipuran village exists for 700 years, or during the Bangli kingdom. 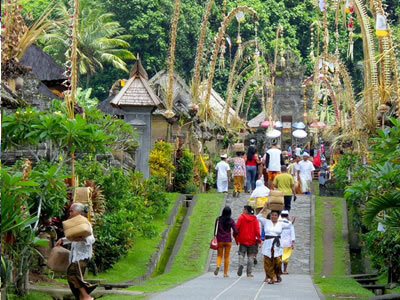 It’s said that this village were resting places for Bali kings who wish to have a calm and peaceful atmosphere. Penglipuran means comfort. 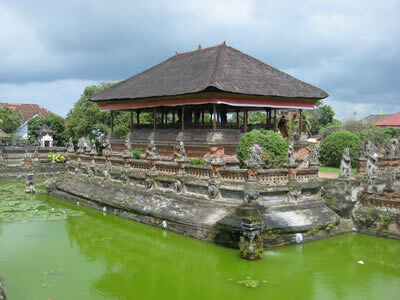 Kerta Gosa is a historic building complex in Semarapura, the capitol of Klungkung District. Build in the late 17th century by the Klungkung Kingdom. Goa Lawah which means a Cave with bats is one of the Sad Khayangan temple or Khayangan Jagattemple. 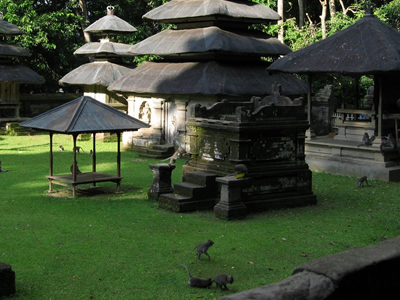 Believed to be one of six most sacred / important places of worship in Bali. 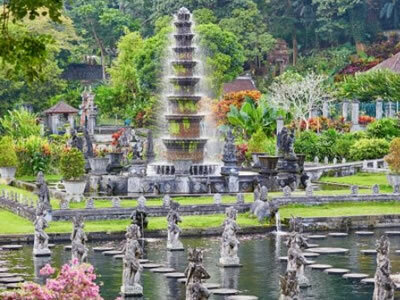 Ujung Water Palace, or Soekasada Ujung Garden is one of touist attraction that have a unique and historical vibe to the Karangasem government. 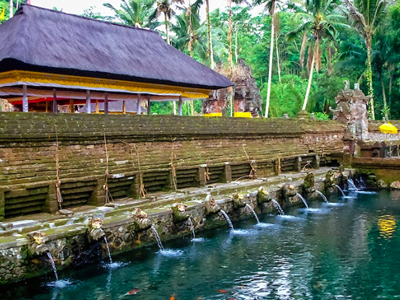 Tirta Gangga is a former royal palace in eastern Bali, about 5 kilometres from Karangasem, near Abang. 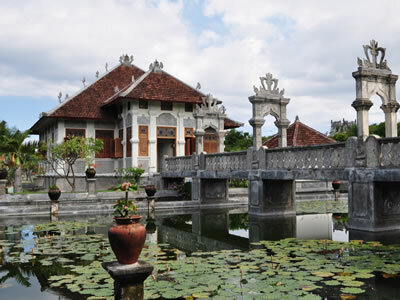 It is noted for its water palace, owned by Karangasem Royal. 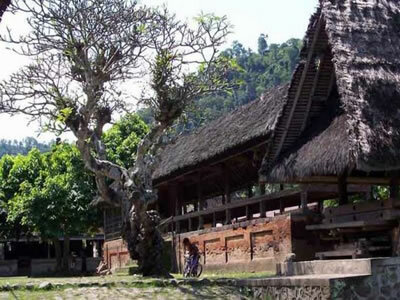 Tenganan is an ancient village in Bali, consistently and passed from generations. Maintain all culture and traditions from their ancestors.